The American story of Big Band Swing has been told many times but in England things followed a different path. In England there was a very different dance band legacy. English 'Music Hall' had a tradition of its own and 'ballroom dancing' had ongoing popularity in England ... there was a depth to tripping the light fantastic ... which endured into the 21st Century with the phenomenal popularity of 'Strictly Come Dancing'. 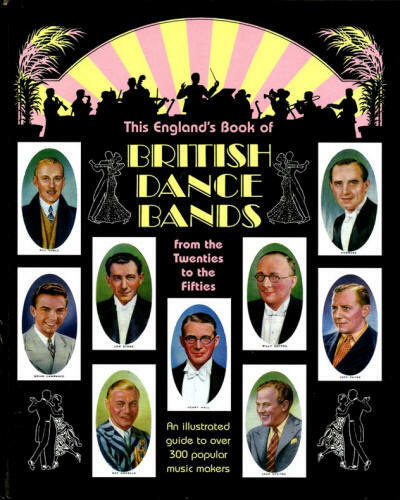 From the 1920 many musicians made a living in dance bands playing the popular songs of the day ... dancing was king and here was 'Ballroom Dancing' as folk went to the glittering ballrooms in the smart hotels, restaurants and clubs ... for social fun & friendships ... by 1930 there were 20,000 dance bands in England. The Brits were never really into dancing Ragtime & the Cakewalk although 'Hello Ragtime' played to curious and enthusiastic punters in 1912. However there was an inevitable yen for jazz after the hoards of American GIs brought their exciting music with them as they confronted The Kaiser in The Great War. The follow up was the sensational ODJB visit in 1919, then Paul Whiteman in 1923, and Ellington and Armstrong in 1933 ... and there were rare delights of extrovert syncopation that were found on on 78 rpm shellac. The particular British Dance Band genre was born in the elegant hostelries in London ... The Savoy Hotel on The Strand led the way. The original music for dancing from The Savoy Savannah Band and The Savoy Orpheans was 'sweet society music' for the prim hoi polloi ... egged on by the Pulpit, the Press and the BBC excitement & fun were banned ... that was until Fred Elizalde arrived in 1926 from Cambridge after his virtuoso classical piano had been supplanted in his affections by American jazz. The posh Savoy, with ambitions to be modern and cool gave jazz a chance along side the conventional. For a time all the punters loved it ... and the BBC even gave Fred a broadcast slot from The Savoy Ballroom ... but soon the squares became bored with the new rhythms which defied their two left feet and Fred was sacked. Significantly Elizalde was the same age as our Mum & Dad and their own social inclinations closely follow the same path from ballroom dancing, to jazz influences to regular broadcasts of British Dance Music ... clearly it was this inspired music from the steam radio that became imprinted in our own impressionable psyche. But the seed of excitement & fun had been sowed and after 1926 most commercial dance bands included 'hot' inclinations imported from across the pond as an indispensible part of their repertoires. The BBC and Lord Reith were against such vulgar decadence of 'Negroid type' music; Louis & Duke were out, and the 'new' intimate crooning was banned ... and even the word 'hot' was verboden, the music was to be bright and swinging but no jazz. Much later this odious attempt by the BBC (and the Pulpit and the Press) to stop excitement & fun and control the inclinations of the innovators made many lifelong adversaries of such elitist opinion. However from 1922 BBC did start to broadcast the music ... but not singing ... Lord Reith had decided the girls & boys wanted to dance and he tried unsuccessfully to define their music for them. The BBC unwittingly became the route to the ears of the nation and folk loved the Americanisation of their Dance Music ... and the rhythms of the crooners. All the big name British Dance Bands mostly played the American songs the Afro-American way ...The beat was lifted, staccato horns and rhythm sections delivered bouncy, punchy, rhythmic melodies from American songs which swung as 'hot jazz' and 'crooning' captured emotions. Wonderful orchestrations kept the swing moving with the dancers as band sections called & responded with melodic trajectories ... a social musical conversation with themselves and the excited dancers. Such were the sounds that emerged eventually from national radio from 1922 and reached the virgin ears of youth. Before there had been the tame family gatherings around the parlour piano and the occasional outing to Music Hall if you were urban and lucky ... now the Twenties roared from the radio as Dance Music was broadcast every night from the posh venues into every home ... marred slightly by the arrogance of the BBC and the stupid disputes between the Unions and unwarranted restrictive practices and restraints on the musicians trade. 1925 Jack Payne's Band at the Hotel Cecil. Kit Kat Club opened. 1926 Melody Maker - jazz critics & commentators were lost in misunderstandings and The Musicians Union & their restrictive practices all equated commercial British Dance Band music with jazz ... the MM was the 'bible' but the only agreement was that there were irresistible lilts & excellence in the new rhythm style? 1927 Bert Ambrose Orchestra opened at the Mayfair Hotel. Jack Jackson joined the Hylton band. Rhythmic Eight recorded. 1928 Jack Payne Director of Dance Music at BBC, with Ray Noble as arranger. Carroll Gibbons Director of Light Music at HMV. Ambrose recorded for HMV with Lew Stone arrangements. 1929 Ray Noble The New Mayfair Orchestra. 1930 Roy Fox recorded with Decca. 1931 Roy Fox band opened at the Monseigneur Restaurant. Lew Stone musical director of British and Dominions Films. Harry Roy Band at the Leicester Square Theatre. 1932 Henry Hall leader BBC Dace Orchestra with broadcasts. Jack Payne recorded with Imperial. Syd Lipton at The Grosvenor. Charlie Kunz Orch at Casani Club. Nat Gonella own records. Lew Stone replaces Roy Fox as bandleader at the Monseigneur with Tuesday night 10.30pm spot on BBC. Roy Fox sets up band at the Cafe Anglais. 1933 Duke opened at the London Palladium & the Trocadero, arranged by Jack Hylton and a phenomenal revelation ... American jazz was a musicians music ... others stars followed, Coleman Hawkins 1934 & Fats Waller 1938. Jack Hylton & Billy Cotton record Ellingtonia. 1934 Al Bowlly and Ray Noble in USA. Nat Gonella & His Georgians record for Parlophone. 1936 Brunswick 'Classic Swing - 21 years of swing music' - Oliver's Creole Jazz Band of 1923 heard in the UK for the first time. 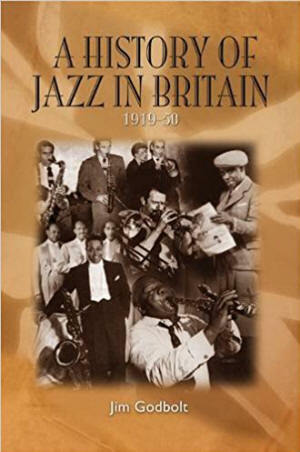 1937 'Hot Jazz' by Hughes Panasié, the first book which claimed jazz as a Afro-American genre which had only peripherally influenced the musicians who played in British Dance Bands. 1938 'Jazzmen' by Charles Edward Smith & Frederic Ramsey, at last the authentic grass roots of history of jazz ... the New Orleans 'revival' started out side of the Dance Bands. 1939 WW2 for the most part broke up the big Dance Bands which had provided a living for the closet jazzmen. Many played in the military forces bands. Other survivors gravitated to Archer Street and found smaller groups and smaller venues where they were 'free' to improvise and play hot jazz without the restrictions of the Ballroom proprietors and the BBC. And of course similar small groups in New York were freeing themselves from the constraints of big bands and were playing 'bebop'. 1943 some Rhythm Club enthusiasts started playing their jazz at The Red Barn, Bexleyheath, Kent. George Webb's Dixielanders as jazz proper moved from the Ballroom Dance Bands to the Clubs (small group jam sessions) & then the Pubs (New Orleans Dixieland) ... British jazz found its roots moving back from the hot soloists in 1930s Big Band Swing (Bix Beiderbecke) to the ensembles of the 1920s New Orleans Style (Louis Armstrong). 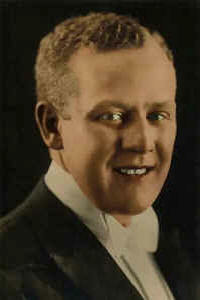 Jack Hylton (1892-1965) first recorded in 1921 and achieved commercial and popular success in the Paul Whiteman mould. Born in Great Lever, Bolton, the son of a mill worker and publican ... 'The Commercial', Stalybridge. His first foray into performing was on piano in Rhyl as a 13 year old. He was band leading at 17 and moved on to play piano at the '400 Club' Bond Street and then joined up and became a Musical Director in the Army. Tommy Handley was his mate in WWI and they tried a double act, 'Two Entertainers & a Piano', long before the ITMA days. 'Jackson Hylton' concentrated on music and he started transcribing Paul Whiteman records and in 1921 HMV recorded with the Queen's Hall Dance Orchestra (seven piece) using Hylton arrangements. Then six weeks later, Jack Hylton's Jazz Band and then as Jack Hylton and his Orchestra. He recorded prolifically from 1921; Queens Dance Orchestra, Jack Hylton & his Orchestra, Ariel Dance Orchestra, Embassy Dance Orchestra, Grosvenor Dance Orchestra, Jack Hylton's Brighter London Band, Jack Hylton's Jazz Band, Jack Hylton's Kit Cat Band. He experimented with strings in 1926. 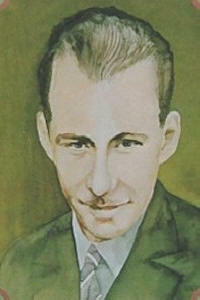 Billy Ternant (1899-1977) was arranging for Hylton from 1927 to the end in 1940. Jack Jackson also joined 1927. By 1929 his records were selling millions, including 'Shepard of the Hills', 'Me and Jane in a Plane' and 'Amy Wonderful Amy'. 1931 Hylton left HMV for Decca. Jack Hylton recorded Johnny Green's 'Body & Soul' before it was copyrighted in 1930. The musicians were keener on jazz than Hylton himself. 'Grieving for You' was The Rhythmagicians a small group jazz. He was a musician, singer and a showman with high standards and always employed the best musicians. Jack Hylton's 'big symphonic charts' were popular all over Europe. Crisp & polished throughout the 1920s and 30s. Success made him rich, he earned a lot and spent a lot, and he brought Duke Ellington to England in 1933. In 1935 he had an extended stay in the US and reformed the British band in 1936 with a more 'modern' sound. He used some Fletcher Henderson arrangements and Coleman Hawkins played as a guest sax in 1939.
Who's Who' of British music Hylton had the pick of them all. Billy Ternent, Jack Jackson, Spike Hughes, Rudi Starita, Poggy Pogson, Tommy McQuator, Sid Philips, Lew Stone. Cyril Stapleton, Monia Liter, Bruce Trent, Stanley Holloway, Sam Browne, Sam Costa, George Formby. Hylton disbanded in 1940 during the War and became an impresario ... 'Jack Hylton Presents'. Jack Hylton had big friends ... Arthur Askey, 'Bandwagon', and Tommy Handley, 'ITMA' ... Tommy Trinder, Ernie Wise, Gracie Fields, The Crazy Gang, Shirley Bassey, Diana Dors, Pat Kirkwood were all helped along the way ... and also a blind pianist Alec Templeton. Lou Levy (1894-1957) from silent movies to Gaumont British studios at Shepherd’s Bush and the BBC radio series 'Music From the Movies', which ran from 1936 until the 1950s. Let's Call a Heart a Heart 1937 light music not dance music? Charlie Kunz (1896-1958) an American from Pennsylvania, born into a 'classical' tradition with piano instruction at 6 years old and a dance band leader at 19. In 1922 'Trocadero Club' London and he stayed for life. There was an explosion of British ballroom dancing in the early 1930s and Charlie Kunz played at 'The Casani Club' from 1933-37. Here at Imperial House, Regents Street, dance instructor Santos Casani established excellent music for his pupils. My Mum's ambition was to try out her Charleston swivels on the top of a taxi driving down Kingsway! Vera Lynn, aged 18, sang from The Casani Club in 1935 and was very easy on the ear ... Dame Vera was loved long before she became the Sweetheart of the Forces. Charlie's tune was 'Clap Hands Here Comes Charlie' ... and he also played Sleepy Time Gal ... it seemed he thieved his relaxed rhythmic lilt from our piano player. Bert Ambrose (1897-1971) born into abject poverty in the East End, the son of a rag & bone merchant. Jewish families always taught their kids a trade, and Bert Ambrose learned the fiddle. He was no virtuoso and he didn't compose nor arrange but he was a genius at musical direction, a strict organiser of talent. At 15 he went to America with his Aunt. He first played professionally in New York; Reisenweber's restaurant and the Palais Royal on Broadway. He returned to London in 1920 and had considerable success at The Embassy Club in New Bond Street but the pay was lousy and he went back to New York for real money in 1922. The Prince of Wales himself was involved in entreaties for 'Ammie' to return to the Embassy Club ... he accepted and played there until 1927. Three saxes, two brass and a rhythm section, playing only choruses. The Embassy Rhythm Eight was a fabulous 'group within a group'. He then moved to The Mayfair Hotel when it opened in 1927 where broadcasting was encouraged for the ambitious. Lew Stone was arranging for American & British sidemen ... 'Hot Lips' Levine, Sidney Lipton, Joe Crossman, Dennis Radcliffe ... immediately successful and Ambrose stayed for eight years. He started recording for Columbia in 1923, in 1928 for HMV with Lew Stone arrangements and in the 1930s with Decca. The band was possibly the finest British Dance Band for technical proficiency and jazz flavour, with arrangers Sid Philips & Lew Stone, and stars Tommy McQuator, Ted Heath, Lew Davies, Danny Polo, George Chisholm, Sidney Lipton, Billy Amstell, George Melachrino, Stanley Black ... and Vera Lynn ... and Ann Shelton also featured. Immaculate musicianship, rhythmic sophistication and jazz worthiness. He pleased the dancers and made sure you could hear the feet on the floors. Unsurpassed. Ammie made a lot and gambled more. 'Body & Soul' Sam Browne 1930 ... first performance and world fame. 'Home James and Don't Spare the Horses' my dad's toon and 'The Continental' demanded respect with impeccable taste. Mid late 1930s peak with Elsie Carlisle, Evelyn Dall, Jack Cooper, Sam Browne, Denny Dennis and Vera Lynn. Ammie lost musicians to the RAF on the outbreak of war ... they formed The Squadronaires. He survived the war at The Mayfair and recorded prolifically, but he didn't survive Rock 'n' Roll ... although Kathy Kirby put up a fight. He did lead a band at the Nightingale Restaurant, but Ronnie Scott and John Dankworth belonged to another era. Ambrose signature tune, When Day is Done. Henry Hall (1898-1989) born in Peckham, 'just a grocer's son with a bit of an ear for music'. He had a go on cornet with The Salvation Army, joined up during the War and played in a military band. After the war he did a turn with a concertina, an act as 'The Variety Three' and played piano for silent movies. He studied at Trinity College of Music. Henry absorbed the dance rhythms as a pianist and his break came at The Gleneagles Hotel leading his dance band. In 1922 he was spotted depping at the Midland Hotel Manchester and offered a job, and in 1924 he took his band (a sextet) to the prestigious Gleneagles Hotel ... and the opening night was broadcast on the new fangled 'wireless'. In 1932 following a BBC broadcast at Gleneagles, Lord Reith invited him to replace Jack Payne as leader of the BBC Dance Orchestra (13 members). Henry's music was sweeter. He famously recorded 'Teddy Bear's Picnic' with xylophone and 'Have you Ever been Lonely'. In 1932 and he employed a young oboe player. Cyril Stapleton (played classical violin in a dance band! But as Lew Stone suggested, fiddle sections didn't cut the mustard and were a nuisance for the 'new' music!) and Anona Winn (What's My Line? ), Elsie & Doris Waters and Flanagan & Allen had a go ... was this the start of 'Guest Nights'? Henry Hall was no Flash Harry ... but he played good music and won the hearts of millions. Benny Carter was arranging for him in 1936 'I'm Putting All My Eggs in One Basket'. In the same year he had a hit with 'The Music Goes Round and Round' ... and Hands Across the Table 1934 with Dan Donovan (saxophonist & band leader) was a perennial favourite. Henry Hall’s Guest Night was a British institution ... 'This is Henry Hall speaking, and tonight is my Guest Night’ ... the show ran on and off for the best part of 20 years. 1933-60 'In Town Tonight' ... 'Once more we stop the mighty roar of London traffic' ... 'Knightsbridge March' by Eric Coates. 'This is Show Business' with Vic Oliver did likewise. Henry Hall started his programs with 'It's Just the Time for Dancing' and his signature tune was Here's to the Next Time by Henry Hall with Val Rosing vocal and the xylophone. In 1970 Henry Hall was awarded an OBE for services to music. Lew Stone (1898-69) born Louis Steinberg, in the East End in 1898, of Jewish refugees from Poland. He enjoyed piano lessons and became 'quite an efficient classical piano player' but enjoyed cricket and football more and spurned his dad's plans for a cabinet making apprenticeship. Music was rekindled after he saw a 'review' at The London Hippodrome in 1912, 'Hello Ragtime' introduced him to a new hot music, and he was hooked, smitten by 'this new rhythm type of playing with a bit of a beat'. WW1 found Lew in the cavalry but on demob he formed a rehearsal band and managed a first gig for 10/-. The ODJB made London in 1918, and were a sensation playing 'a lively style of syncopated dance music' ... Charleston, Shimmy & Grizzly Bear ... and ended up at the Hammersmith Palais for 9 months ... 'ballroom dancing was the new fad' ... dance bands were everywhere entertaining the masses and helping eager punters on the pull ... and lucrative jobs for musicians which enticed Lew away from his promise on the football field. Lew tried the 'Stone rhythmic piano' with the London Aeolians in Newcastle in 1925 ... the music was modeled on the American hot bands. Later when playing at the Cosmo Club in 1926 he grabbed an opportunity to join American Bert Ralton's Savoy Havana Band (Rudy Valée was originally on saxophone) ... he helped out in with some arrangements for an ill fated tour of South Africa. The word spread and he opened an office in Denmark Street (Tin Pan Alley) and supplied scores for everybody ... including Carroll Gibbons & the Savoy Orpheans and others George Fisher at The Kit Kat Club, Ray Starita and Debroy Somers ... but a 'conveyor belt orchestrator' didn't appeal. 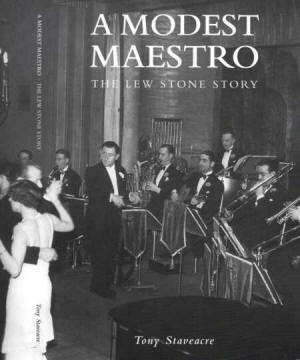 His break came from 1927-31 with 80 arrangements & scores for Bert Ambrose & his Embassy Club Orchestra, Ambrose had just nailed a prestigious contract at the Mayfair Hotel. Lew Stone created the 'Ambrose sound' and the best, his innovations brought girl vocalists, Ella Logan was a 'rhythm singer', and he even tried rhythmic violins ... 'light years ahead of the competition' ... it was all about rhythm ... 'folk needed a sense of rhythm'. The Melody Maker advertised Lew Stone's Special Hot Orchestrations ... the others in the game were 'superficial soupy sweet commercial novelty stocks' ... but the posh Hotels wanted happy punters and familiar songs with strict tempo ... remember Fred Elizalde lost his job at the Savoy for being too 'jazzy'. In 1929 Lew heard records of the Casa Loma Orchestra which he transcribed and the style of Gifford's 'Casa Loma Stomp' started to influence the 'swing' era of British Dance Bands ... Ambrose, Harry Roy and Jack Hylton ... 'up beat precision, punchy, forward moving, syncopated bounce, tight block chord ensembles & riffs'. 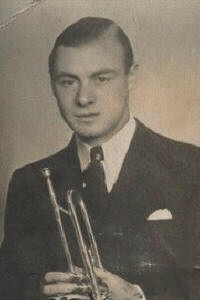 In 1931 American trumpeter Roy Fox recruited Lew to help establish his British Band for a stint at the The Monseigneur Restaurant, Piccadilly run by Jack Upson of Dolcis Shoes. His first American band at the Café de Paris had broken up and drummer Bill Harty teamed up with Lew for the new action which included bagging Billy Cotton's brass section - Nat Gonella, Sid Buckman & Joe Ferrie ... and vocalist Al Bowlly. Roy Fox had also secured a useful recording contract with Decca; four sides were recorded in each 4 hour session, often twice a week. Health problems intervened, pleurisy forced a recovery break in Switzerland and Lew Stone was left in charge of the band. Although Roy Fox returned in 1932, by 1933 Lew had ousted Roy as bandleader and he secured a new contract at the Monseigneur and the Tuesday night 10.30pm spot on BBC. From 1925 national radio was growing in importance for income and reputation for the dance bands. Lew Stone had a fun band and went from strength to strength. Lew was popular and the musicians were with him ... Nat Gonella, Joe Crossman, Alfie Noakes, Lew Davis, Jack Jackson, Tiny Winters, Bill Harty, Monier Liter, Al Bowlly. Big money was involved. The Melody Maker reported that Lew Stone performed miracles with the band, a unprecedented triumph ... but Roy Fox was less than pleased and slapped an injunction on Al Bowlly for breach of contract, mercifully it did not succeed and the AL Bowlly / Lew Stone partnership continued. Al Bowlly sang with Lew Stone from Oct 25th 1932 and Lew became Al's mentor & guide. Lew Stone 'made' Al Bowlly. They recorded 100 titles together from 1932-8. The peak of their careers - a feeling for rhythm with hot lines, often better than the original composer, always practisin', always fun. Al Bowlly was singing Lew Stone's arrangements with considerable panache. Lew Stone and Ray Noble competed for Al Bowlly's precious time and Jack Jackson also tried to recruit Al in 1933. In 1933 Lew Stone met Joyce Newman, and eventually married in 1937, unsurprisingly Joyce was a passionate dancer ... and herself a gifted classical pianist ... but Lew was clear, 'Don't try to get me interested in your sort of music, because it won't help with my work'. There was frequent 'musical chairs' with the bands and venues. In 1933 Lew left the Monseigneur as Jack Harris took over, for the Café Anglais with good facilities for broadcasting, Harry Roy moved out for the Mayfair, and Roy Fox took his new band to the Café de Paris! 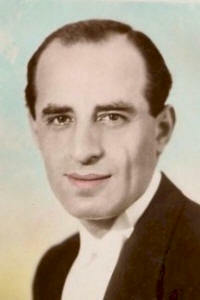 Lew also had a 'day' job as musical director for British & Dominion Films where he was involved in 42 movies from 1931-5. He helped with Jack Payne and 'Say It with Music', and the commissioning Ray Noble's 'Love is the Sweetest Thing'. A very busy man. Interestingly as popularity of the Music Halls and Variety Shows waned, it was the dance bands, popularised by the BBC, who gave the theatres a new lease of life as 'show bands'. When Noble, Harty & Bowlly went to America in 1934 Lew toured the shows and played at London's Hollywood Restaurant (The Monseigneur closed in '34) ... with Nat Gonella, Alfie Noaks, Monia Liter, Tiny Winters, Stanley Black piano and Alan Kane vocals ... & co. This was a peak with stage shows, films, band leading, arranging, recording ... and then in 1936 at the Café de Paris with a smaller smooching band which outraged his rhythm fans. In 1938 there was a summer season at Butlins with an open cheque book. Al Bowlly returned from the USA but newcomers were on the scene; Alan Kane, Sam Browne, Jack Plant ... and the girls Gracie Fields, Vera Lynn with Ambrose, Helen Clare with Jack Jackson, Peggy Dell with Jack Hylton, Suzanne Botterell with Lew Stone. Lew continued during the war, opening at the Dorchester Hotel in 1940 ... dance music had, of course, been banned in Germany. And 1942 a morale raising tour which included Greens Playhouse in Glasgow and 14 year old Helen Mack ... and a concert for the Dam Busters on the night they left for Mohne. The BBC agonised over censorship and 'appropriate' music, but there was no doubt the troops wanted dance band music with a beat. and the workers wanted 'Music while You Work' ... but Lew wasn't invited ... for years there had been rumours of bribery and corruption at the Beeb ... in 1944 Lew disbanded due to ill health, disillusionment and exhaustion. After the war Lew was reborn at the Court Royal Hotel, Basset Green ... Southampton was full of Americans eager for the familiar dance songs and hot rhythms. He was back in it, touring again and a residency at the Embassy Club. Things changed in the 1950s ... Bill Haley played country music with 'honking' saxes and 'thumping 2 beat' drummers in a cheap small band ... crude 3-chord nursery rhymes which didn't swing ... although the kids did jive to the beat, which was more than could be said for modern bebop jazz. Lew hoped it was a passing fad but he was never in the thick of it again ... although he did try, almost until he was 70 ... only Ted Heath led the final hooray ... jazz orientated big band swing ... Jack Hylton was an impresario, Henry Hall had grabbed 'My Fair Lady', Jack Jackson was a Disk Jockey, Ambrose traipsed the provinces and Lew Stone set up his Entertainment Services ... meanwhile the Dance Halls were sold off for Bingo. Lew tried the Pigalle and radio ... freelancing ... but it was nostalgia, the good musicians were making good money at the 'sessions' ... and the Beeb wanted small 'economic' bands ... Lew managed MWYW from 1959 to 1967 ... but there were restraints of trade and pop songs and corruption ... amongst the quality of Joe Crossman, Tiny Winters, Tommy McQuater, Monia Liter, George Chisholme ... Lew Stone & His Barnstormers were into Dixieland ... and Radio 390 was a pirate! As a piano player, composer, arranger and musical director Lew Stone shaped the styles of 3 great bands, Ambrose from 1927, Roy Fox from 1930 and his own Lew Stone & his Band from 1931 with his recordings. He was acknowledged as the best. 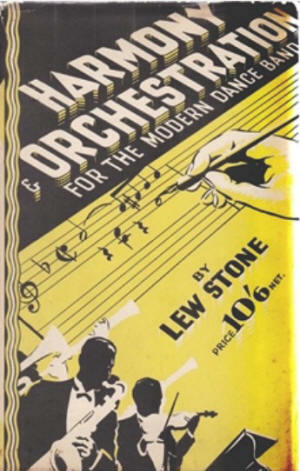 Lew Stone's music was uniquely stimulating, his musicians were high calibre & well presented, and Lew offered with them precision progressive dance music, detailed know how, friendly leadership with a fresh lively manner tailored the their particular talents, which they were free to exercise, giving hidden talent a chance ... and he was full of cockney wit. Basic Foundations - instrument compass; major, minor, 7th & 9th chords; Bb, Eb, A & F transposing keys; tonic intervals, dominant (5th), subdominant (4th), mediant (3rd), submediant (6th), supertonic (2nd) & leading note (major 7th); tetra-chords, scales & sequences; augmented & diminished; inversions; consonance (perfect & imperfect) & dissonance & resolution; part writing (horizontal melodies, vertical harmony); flow to adjacent notes or consonant intervals; diminished better than augmented and compact better than divergent; parallel & contrary motions; no unison or octaves; no consecutive 5ths, 4ths, 2nds, 7ths & 9ths; no 2nds nor similar motion to unison; no overlapping nor crossing parts; break 'the rules' for added d interest! ; 3rds build chords; dominant & sub-dominant chords resolve to tonic; perfect & plagal cadences; inversions (1st raises the tonic an octave, 2nd raised the 3rd an octave) for smooth lines; dominant 7th (discord which 'requires' a rules based resolution - 7th down 3rd up - or 'ruin'); 9th, 11th & 13ths (add 3rds on dominant, tonic or supertonic); Italian, French, German 6ths; modulation, flat 'dull' sharp 'bright', simplest go to F & G, or Am, Dm & Em ; diminished 7ths; passing & auxiliary notes; pedals, tonics or dominants; 'interruptions' or suspensions, 4th & 9th; symbols. 'Surely all this dry as dust theory is unnecessary? But one who knows nothing will write parts which are 'unmelodic, jumpy, and difficult to play'. Dance music is 'not a series of solos & not a wild free for all', there has to be some sort of order and not instrumental chaos. Most of these rules have been broken by all the great writers and by the less great as well. Nevertheless, learn them, so that you can break them through knowledge, and not through ignorance'. Saxophones - novelty instruments from military bands brought easy power & thickness - round, mellow & liquid replaced the uselessly weak & difficult to play violins - teams' of three 2 altos, 1 tenor, at least for 4 part harmony, with the 'phrasing' of the parts defined by the lead alto. In fact violins became an expensive nuisance for dance bands and modern punchy jazz phrasing where the saxophone ecells. Brass - teams of three, 2 trumpets, 1 'bone. Trumpet lead line, 'bone principle harmony. Valves, round mellowness, double & triple tonguing. Trombone plays the same rhythm as the trumpets but fewer pitch changes. Soft, velvety, sweet & bell like with attack. A solo instrument in the dance band, not only for playing melody, but for important obbligati and counter melodies. Glissando forte. Mutable; fibre cutting edge, plunger wow wow, hush hush & hat. Rhythm Section - Piano - 'the piano is not played like an orchestral instrument at all, the difference is as marked as it could possibly be. The dance band piano supplies the 'middle' & the foundation of the so essential rhythmic basis, the life blood of the dance band, a technique of its own, classical training is irrelevant. The piano 'part' must concentrate on the inside lilting, the 'lemonade' of the chord sequence of the particular song ... after all there are three other instruments supplying the rhythm! Yet, strangely, the writing of the piano part is the easiest thing in the world ... a bare chordal guide. If the pianist has any idea at all of his task, he will 'fill-in' quite comfortably from the barest outline. The Modern Method calls every chord by a separate legitimate name. 'G7' is brief, easily remembered & self-explanatory. The simplicity of the harmonies of dance tunes has much to do with this as the usual 32-bar chorus wanders conventionally through the tonic, subdominant and dominant chords, with, perhaps, a brief excursion into some closely related keys. But I do suggest that the system is hopelessly inadequate for the complex harmonies of any of the classical work'. Drums - 4 in a bar time keeper & the pianists rhythm confederate and helpful punctuator. Drums are rhythm generators, and as independent as the pianist, needing little guidance from the orchestrator. Bass drums supply the four to the bar time, the high hat emphasises the off beat on two & four and the snare provides the rolls, kicks & embellishments for the groove. Cymbals, woodblocks and gadgets provide additional effects & contributions. Bass - strings replaced brass for depth, sonority & richness. Plucked & slapped for pitch & rhythm on a flexible four to the bar. Playing roots & 5ths of a bass line, the foundation of the harmony, not a 'voice'. The bass adds to the flow with a 4 to the bar 'walking' to the next chord ... dance is rhythm and 'this 3 piece rhythm section is irreducible'. Guitar - the original G-string banjo and the 'snappier' tenor banjo were replaced with the 6-string rhythm guitar providing body building depth & sonority. The banjo part has usually been written as a bare sequence of chord symbols. The guitarist smooths out the rhythm & smooths out the note movements. The sax - brass - rhythm combination is the proven medium for playing dance music ... 'String sections are an unaffordable nuisance in the Dance Band'. 'Tone Colour' variations are scored from different combinations, different registers, different mutings, different balances, different distributions. Debroy Somers (1899-1952) not an upper crust Englishman but an Irish 'Bill' from Dublin. Son of an army bandmaster he could play everything. In 1923 he brought 'class' to The Savoy Orpheans who made their first broadcast the same year. They recorded for Columbia, and as The Albany Dance Orchestra & The Romaine Orchestra for HMV. Al and Ray Starita, Carroll Gibbons and Ray Nobel were around ... with Sydney Kyte (1896-1981) as deputy conductor ... it was a nursery. In 1925 he formed his own band Debroy Somers & his Orchestra and Carroll Gibbons took over the Orpheans. He became part of a pattern; from ballrooms to stage shows with recordings and broadcasts ... and the occasional film. The stage shows in 1925 emulated Paul Whiteman. Perhaps everybody remembered 'The Ovaltinies'. Oscar Rabin (1899-1958) the ODJB played the Hammersmith Palais but from 1935 to 1940, from behind his saxophone Rabin made it his home. 'Oscar Rabin and his Romany Band with Harry Davis'. Billy Cotton (1899-1969) a cockney lad from Smith Square, played soccer for Brentford & Wimbledon, owned his own Gipsy Moth and raced cars at Brooklands. In WWI he was a drummer bugler and involved at Gallipoli and flew Bristol Fighters in 1918 in The Royal Flying Corps. In 1925 he formed the London Savannah Band with a contract at Brighton. A dance band that veered to vaudeville type entertainment. Southport, Rialto Liverpool in 1927, then to Astoria, London and Locarno Streatham with Nat Gonella playing 'Louis'. Syd Lipton also joined the gang and Clem Bernard turned the outfit into a strict tempo dance band. In 1929 Billy Cotton played at Ciro's and started recording and broadcasting with Nat Gonella, Sid Buckman & Joe Ferris ... until they left to join Roy Fox at The Monseigneur Restaurant. Billy Cotton lost more than his brass section. He was not a 'showman' at this time and after the success Nobel Sissle had had at Ciro's ... he lost the job. 1931 to the Alhambra, Leicester Square and a change to a 'show band', with song and dance men, 'Doin' the New Lowdown'. A black 'bone man, Ellis Jackson was a top tap dancer and from 1932-68, Alan Breeze joined the fun and became a major star, 'I've got a Lovely Bunch of Coconuts'! Teddy Foster copied Nat Gonella and there was a marvelous fun spirit in the band ... Sam Browne, Elsie Carlise ... and in 1935 Vera Lynn but she didn't last? Everyone else was playing American songs but Bill was on British music, 'Maybe it's because I'm a Londoner'. After WWII he started a Sunday lunchtime radio show on BBC, 'The Billy Cotton Band Show', which ran from 1949 to 1968, 'Wakey Wakey'! Lionel Bart contributed some comedy songs. From 1957 the show was also broadcast on BBC television. After the war most big bands disappeared ... Billy Cotton (ad Joe Loss) stayed the course. 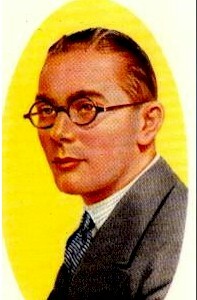 His son Sir Bill Cotton became the BBC's managing director of television. After Ellington's visit in 1933 Billy Cotton recorded some notable Ellington compositions. Billy Cotton's signature tune was Somebody Stole My Gal 1933. Jack Payne (1899-1969) born in Leamington Spa, son of a sheet music man. A grammar school lad who excelled in the Cadet Force and music. By 12 he was an accomplished pianist and at 18 he joined the Royal Flying Corps. During WWI he ran a dance bands for the troops in the Royal Flying Corps with the help of some American air mechanics. After the war he cashed in on the popularity of ballroom dancing with a local band playing the Saturday night 'hops' and he managed a summer season at The Grand Hotel Folkstone. He moved to London in 1924 and where the house band at the luxurious Hotel Cecil were introduced to spirit of the jazz age ... he stayed for four exciting years ... the punters loved it. The Charleston arrived in 1925 and Jack started recording with his 7 piece. The BBC were still only grudgingly tolerant of dance music but there were a few slots, and although The Savoy secured their air time first, Jack Payne had his chance on Boxing Day 1925 'Uncle Jack Payne' ... on 'Children's Hour'! Hotel Cecil were introduced to spirit of the jazz age ... he stayed for four exciting years ... the punters loved it. The Charleston arrived in 1925 and Jack started recording with his 7 piece. The BBC were still only grudgingly tolerant of dance music but there were a few slots, and although The Savoy secured their air time first, Jack Payne had his chance on Boxing Day 1925 'Uncle Jack Payne' ... on 'Children's Hour'! Then in 1928 Jack was appointed the BBC Director of Dance Music and the leader of the BBC's first dance orchestra ... broadcasting every week day 5pm to 6pm. John Snagge '2LO Calling' ... Jack Payne's popularity soared and he did his own announcing 'Say It with Music' ... Billy Scott Coomber sang ... in 1931 Jack Jackson and Poggy Pogson joined the band ... and they both left in 1933 after a fit of Payne temper. In 1929 the band was featured in the first television broadcast. He was embroiled in the BBC 'policy' of a duty to please the masses. Music had be good and entertain, nothing advanced & modern in the way of style, the last thing the BBC wanted was hot rhythms. Jack Payne did well ... and, of course, hot rhythms couldn't be avoided, the dancers loved them. The band played everything from their ingrained memories ... bright and breezy. 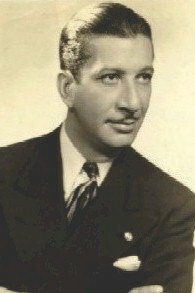 Payne recorded and employed Ray Noble as arranger, and he went on to enjoy success with Stage Band Shows, up against his rival Jack Hylton who put on similar shows. A film 'Say It with Music' was produced in 1932 with Ray Noble contributing, 'Love is the Sweetest Thing'. 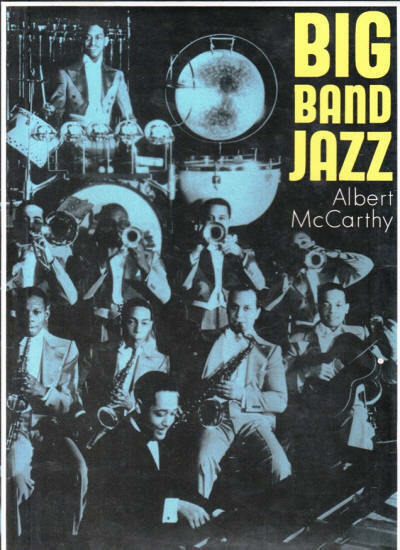 By 1935 Jack was playing with 5 brass, 4 saxes and 4 rhythm section; smart, tricky arrangement allowing plenty of space for improvised hot solos ... effectively playing big band swing before anyone had heard of Benny Goodman! In 1936 he retired to farming but the lure of swing was too much and in 1939 he formed a new band to record for Decca and briefly HMV. In 1941 he returned to the BBC as Director of Dance Music and remained there until 1946 before establishing himself as a well loved disk jockey and presenter. Jack Payne's signature tune in 1931 was Say it With Music by Irving Berlin. Harry Roy (1900-71) born Lipman, Harry was a London lad from Stamford Hill. 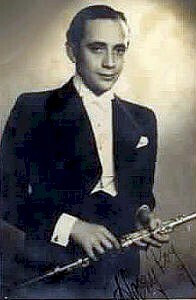 He began with the piano but learned clarinet & saxophone at 16, and ended up as a cabaret act all by himself the 'Little Hotcha Ma-Cha-Cha'. Music was in the family and Harry tried it all, he played with his elder brother Syd in a Dance Band; 'The Darnswells'. After service in The Royal Flying Corps, Harry was born again at the Hammersmith Palais in 1919 when he heard the ODJB with the sensational Larry Shields on clarinet. During the 1920s, with his piano playing brother Syd, Harry Roy performed in prestige venues such as the Alhambra and the London Coliseum, under several band names; the 'Original Lyrical Five', the 'Original Crichton Lyricals', the 'RKOleans' ... it was non stop variety and always fun fun. A jazzy style with some impressive recordings to his name; 'Its Only a Paper Moon', 'Better Think Twice'. By the early 1930s, Harry Roy was fronting a band under his own name at The Bat Club and Leicester Square Theatre, and broadcasting from the Café Anglais and the Mayfair Hotel. He followed Ambrose and his hokum contrasted alarmingly with sedate glamorous dance music in the hotel ballroom ... but the punters loved it. He became a prolific recorder and popular vocalist and song writer. 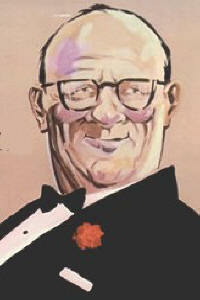 Harry Roy was topping the bill at variety theatres all over Britain. This was show music and Harry was the showman. A South American tour just before the War, Ivor Moreton and Dave Kay of the two pianos and practical joking, left the band and Stanley Black came in on piano ... and Ray Ellington, drums. During the Second World War, Roy toured with his band and small group 'Harry Roy's Tiger Ragamuffins'. He was at the Embassy Club in 1942, and entertained troops in the Middle East. Then the Café Anglais and the Mayfair. In 1948, Roy travelled to the United States but was refused a work permit. He worked on but big bands were out, nobody survived The Beatles. Harry Roy wrote 'Leicester Square Rag'. Victor Silvester (1900-78) strict tempo for dancing. A vicar's son from Wembley, a ballroom dancer and band leader. Regularly absconded from schools and joined the forces in 1916. After the war he turned down Sandhurst for music at Trinity College. 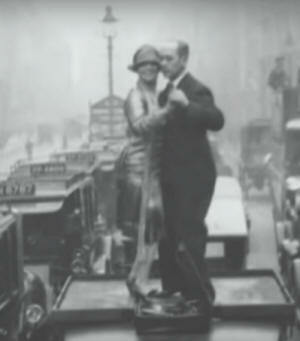 Silvester's passion turned to dancing and he won the first World Ballroom Dancing Championship in 1922. He wrote 'Modern Ballroom Dancing' in 1927 and established a chain of dance studios. In 1935 he formed his own band for strict tempo for competition guidelines. 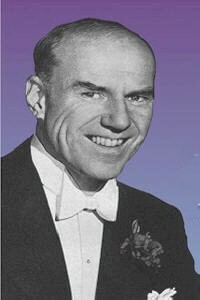 Victor Silvester and his Ballroom Orchestra recorded their first record, 'You're Dancing on My Heart' (Al Bryan & George M Meyer) which sold 17,000 copies and became his signature tune. All his recordings conformed precisely to the beats per minute recommended ... this was strict tempo seriously strict! Sivester used two pianos, one taking his turn to solo and the other maintaining an improvised lilting continuous obligato in the background throughout every piece ... this he called his 'lemonade' ... a fizzy sweetness? ... wonderfully effective for keeping the song rhythms & harmonies going for dancers & listeners. Felix King was credited with adding this characteristic sound to the band ... but we think he copied it from our piano player! The result was a good solid beat with the melody predominant. He later added an accordion for tangos and 'Silver Strings' for 'Viennese Waltz'. He did write some tunes but some in the business complained about a non player leading a band. Joe Loss was a big strict tempo rival. In 1940 Victor did form a Jive Band with Tommy McQuater and George Chisholm. In 1941 the BBC 'Dancing Club' was launched. BBC World Service 'Record Requests' ran for 28 years. BBC TV 'Television Dancing Club' ran for 17years. Victor's signature tune was You're Dancing on My Heart ... and he closed with 'Don't Say Goodbye'. Roy Fox (1901-82) born in Denver, Colorado. 'The Whispering Cornetist' of Salvation Army ilk. In 1925 he recorded with Art Hickman and he worked in Hollywood before Hollywood was Hollywood. In 1930 he was invited to London to play at the newly opened Café de Paris and his unpretentious polished playing endeared him to the British public. He stayed on and on and, like Charlie Kunz and Carroll Gibbons, he liked the country so much that he settled down, married and died in the UK. In 1931 he led his English studio band and was musical director for Decca. Lew Stone, Jack Jackson, Max Goldberg & Bill Harty joined the promising English band led by the American. He rescued Al Bowlly from busking in the London Streets, Al was down on his luck and joined the band ... and Al 'phrased' his songs nicely. 'Dolcis Shoe Shops' opened the new Monseigneur Restaurant in Piccadilly and Roy Fox was invited in as Musical Director. Mantovani had a popular spot but Roy's Wednesday evening slot was broadcast by the BBC and his reputation grew. During an enforced absence with pleurisy in 1932 his band was 'taken over' by Lew Stone with the talented Nat Gonella on trumpet. The Whispering Trumpet was never the focal point of the band. 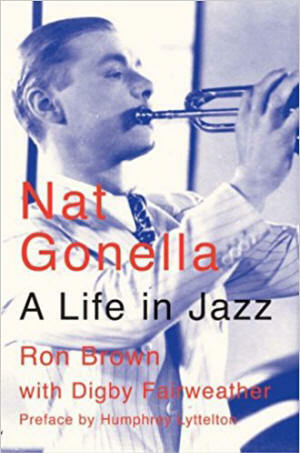 Perhaps the biggest star was Nat Gonella with Georgia, 'Nobody's Sweetheart' and big rhythm bounces & jazz phrasing. The band recorded for he last time in 1938 ... Roy Fox was not a well man. A seven year dream for Roy Fox. He led musically fine bands after the war but the moment had passed. Maurice Winnick (1902-62) born in Manchester, a child violin prodigy, then a cinema pianist ... and saxophonist. Guy Lombardo was his inspiration, Sam Costa sang. In 1936 he took over from Harry Roy at The Mayfair. The bands recordings sold well during the 1930s but the war brought an end to dance bands and the start of a career as impresario at the BBC. 'The Sweetest Music this Side of Heaven'. Carroll Gibbons (1903-54) born in Clinton, Massachusetts, a piano player everyone loved. He studied at The Royal Academy of Music and came back to London for more. The Savoy Hotel was a fabulous place in the early 1920s and the patrons demanded glitz and dance music ... the music of Orpheus which moved the soul. The war was past and a new music from America was arriving and with it new dances ... even The Savoy felt obliged to modernise and go for syncopation. First in 1922 Bert Ralton led The Savoy Savanna Band then The Savoy Orpheans were formed by Debroy Somers, an ex-army bandmaster, in 1923. But the new American music was a whole new ball game and many old dogs found it impossible to learn new tricks and help was needed ... from Americans, 21 year old Carroll Gibbons, piano, and his mate Rudy Vallee, sax, were recruited from the New England Conservatory of Music, Boston. Carroll Gibbons joined The Orpheans in 1926 and when Debroy left in 1927 Carroll took over... an American at The Savoy ... who would believe it? But Carroll Gibbon's music remained sweet with a lot of Carroll and a lot of strings with flowery saccharin scores by an array of arrangers. In 1923 he recorded with the Orpheans at the 1923 Columbia sessions. This led to years of steady recording activity for HMV. In 1926 he was was playing 2nd piano with Ronnie Munroe and in 1927 was billed as the leader of the Savoy Orpheans ... 'Hello Everybody' ... with him were George Melochrino, Rudy Starita, Al Bowlly, Les Allen, Brian Lawrence, Harry Bentley ... and from 1931 were Ethel Levy and Anne Lenner (the first female vocalist at the mic) ... two pianos and 'the' Johnny Green ... George Melachrino was brilliant playing & singing ... Jack Plant sang 'As Time Goes By' in 1932 (10 years before 'Casablanca') ... Gibbons stayed on & on at The Savoy all through the Blitz ... it was all fun. In 1928 Carroll Gibbons was appointed Director of Light Music at HMV. He also served as a staff composer at MGM films 1930-1, but Gibbons continued to lead the Orpheans until his sudden death at the age of 51. Radio Luxembourg offered a show in the 1930s, sponsored by Hartley's Jam! Some thought the band sounded a bit like Glen Miller. 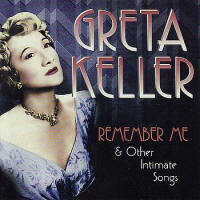 In 1928 he wrote the hit, 'A Garden in the Rain' and in 1932 his signature tune, 'On the Air'. Ray Noble (1903-78) born in Hove in 1903, son of a neurologist, educated at Dulwich College and taught piano at The Royal Academy of Music. He was electrified when he heard American syncopated piano style and gave up a classical bent. He played local hops, was spotted by Laurence Wright in 1926 and won Melody Maker contests in 1927, before he became Staff Arranger with Jack Payne & the first BBC Dance Orchestra in 1928 ... and then Musical Director at HMV in 1929. 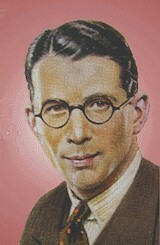 In 1930 Ray Noble directed the house band at HMV, the New Mayfair Dance Orchestra, which had been formed by Carroll Gibbons just for recording. He recruited the best from the top bands for his recording sessions ... Nat Gonella on trumpet, and in 1930 Ray Noble & his Orchestra were joined by a new crooner, Al Bowlly. Ray Noble's compositions and arrangement were tops and in April 1931 they had a hit 'Goodnight Sweetheart' (with collaborators Jimmy Campbell & Reg Connelly). In 1931 also he recorded another Jimmy Campbell & Reg Connelly song with Al Bowlly; 'Down Sunnyside Lane'. In 1934 Noble went to America where his records were selling well, English sweetness and sophistication contrasted with Ragtime & Jazz. He took Al Bowlly & Bill Harty his drummer manager with him and Glen Miller organised a band for him for The Rainbow Room in New York ... Tommy Dorsey, Charlie Spivak & George van Epp. He then accepted an offer in Hollywood and did radio shows for a quarter of a century before eventually retiring back in England in the 1950s. He wrote some great songs; 'Love is the Sweetest Thing' for Al Bowlly and 'Goodnight Sweetheart' which was a Guy Lombardo hit ... and 'Cherokee' which Charlie Parker made his own ... and, of course, his greatest of all which made him world renowned ... his signature tune ... The Very Thought of You 1934. Geraldo (1904-74) Gerald Bright was born in the East End, working class Jewish, and a child prodigy on the piano at The Royal Academy of Music. Played piano in the cinemas and the organ a t a posh restaurant in The Strand. Meticulous and organised Gerry traveled to learn about the music scene. After piano at the Tower Ballroom and in Liverpool he formed his own band at The Majestic, St Annes. Gerald Bright & his Celebrity Orchestra, (six piece group), broadcast on the BBC North Region and the word spread. He moved back to London as the Gaucho Tango Band at The Savoy in 1930, where he alternated with Carroll Gibbons and made his first recordings. The band was also booked by Charlie Chaplain for 'Modern Times'. In 1933 they did royal Command performance. His 'tango' style went down well but he soon moved to a 'sweeter' sound. Geraldo and his Sweet Music, with vocals by Monte Rey & Cyril Grantham and a signature tune, 'I Bring You Sweet Music'. Geraldo became a big name on the radio, 'Music Shop', 'Milestones of Melody', 'Dancing Through', 'Band Box' & 'Romance in Rhythm' ... introducing Anne Ziegler & Webster Booth. Geraldo was also musical director at Elstree Studios. A purple patch at one time he had 200 musicians on his payroll. They recorded at Abbey Road and Al Bowlly did some of his best work with Geraldo. He played some jazz from 1939 and was Britain's Glen Miller entertaining the troops and traveling extensively. Gerry became BBC Director of Dance Music ... it was all go. He was the first band on TV and later became Musical Supervisor for Cunard; 'Geraldo's Navy'. The band didn't break up until the 1960s. 'On behalf of me and the boys cheerio and thanks for listening'. 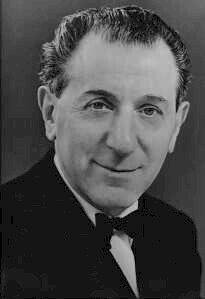 Mantovani (1905-80) 'Monty' was a violinist like his father, born in Venice and came to England when he was four. In 1923 he formed a quintet at The Midland Hotel, Birmingham. He recorded in 1927 in disguise and formed small dance orchestra to play The Metropole in London and in 1931 left for The Monseigneur. where he stayed until 1934, up against Roy Fox and Lew Stone. He had a small 'Tipica Orchestra' playing popular tune and he acquitted himself well and moved to the Cafe de Paris ... then 'The Hollywood Club' and the 'San Marco Restaurant'. In1937 'Tipica' was dropped and the size of the orchestra increased and he moved to Decca where he stayed for 35 years as he moved more to light orchestral music. He was unknown in America and tried for a new 'cascading violins' sound with Ronald Binge, a waterfall of silvery melodies. 'Charmaine' was recorded in 1951 and sensational success. Then 'Song from the Moulin Rouge' in 1953. Champagne music conquered America where he toured every year from 1954 to 1969. Awards and recognition followed. Jack Jackson (1906-78) born in Kent, a brass band trumpet player and later Disk Jockey on the BBC's 'Band Parade' and 'Record Round Up' from 1948 for 20 years. Jack was a rebellious hot trumpet prodigy and went to London to study at the Royal Academy of Music and turn pro. In 1926 he toured South Africa with Bert Ralton's Havana Band, during a hunting trip Bert, an American saxophonist, was tragically shot. On his return to the UK in 1927 Jack joined the Hylton band and made a name for himself playing 'hot' trumpet. It was through Hylton's recordings that he became famous. He tired of touring with Hylton and in 1929 played at the Berkeley Hotel and then Savoy. In 1931 he was with Jack Payne and the BBC Dance Orchestra. Business like Jack Payne and care fee extrovert Jackson clashed resulting in Jack leaving to form his own band. In 1933 he became an elegant band leader and led his new band at the Dorchester. There he stayed for five years. Alberta Hunter sang with the band ... and Fred Latham and Sam Costa (star of 'Much Binding inn the Marsh'). He featured in the BBC's 'Band Call', 'Salute to Rhythm' and 'Band Parade' and secured a final residency at The Mayfair in 1940 before the war intervened and the big band bubble burst. Jack wrote his signature tune, 'Make Those People Sway'. And finished his shows with, 'Dancing in the Dark'. After the war a second career as the first ever zany off beat disc jockey with 'Jack Jackson's Record Round Up', which began in 1948. 'Record Roundabout' and Radio Luxembourg's 'Jackson's Jukebox' followed! The old timers from the ballrooms and the post war youngsters both claimed Jack Jackson as their favourite. Fred Elizalde (1907-79) a Spanish Filipino born in Manila in 1907, he started piano early and studied classical music before Stanford in 1925. In California Fred and his sax playing brother Lizz ... discovered jazz. He came to London in 1926 to continue studies. He moved to Cambridge University and led a band (The Quinquaginta Ramblers) ... ragtime and jazz were not 'serious' music, they were generally seen as American 'fads' ... but folk in Cambridge lapped up the new music ... and soon all over the country people sat up and wanted 'jazz' and 'blues'. The sound was revolutionary and within a year was well respected. 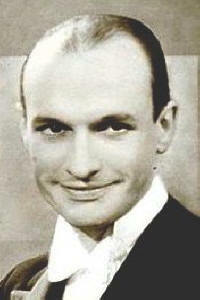 Fred Elizalde recorded in 1927 and was 'noticed' by Bert Ambrose. They recorded for Brunswick and then won a contract at The Savoy, alongside The Orpheans ... a Cambridge undergraduate at The Savoy? Elizalde criticized British dance music for its 'Viennese' qualities and brought more Afro-American rhythm to the party. Elizalde was a genius, he wrote and recorded with trumpeter Jack Jackson his song 'Stomp Your Feet'. His jazz style was so popular he recruited Adrian Rollini into the band and orchestrated hot jazz phrasing and put swing into British Dance Band. British dance music was never the same again, the dancers were doing the 'Black Bottom' at The Savoy! In 1928 Al Bowlly arrived in Britain and recorded with Elizalde. His legato rhythms and hot phrasing were magical at The Savoy; jazz came to British Dance Bands. 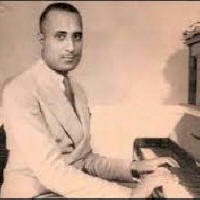 Fred Elizalde recorded 'Tiger Rag' in 1928 and the band was voted best popular dance orchestra in Melody Maker in 1928. In 1929 the BBC finally got an act together and broadcast music from The Savoy every night, the dance critics were unconvinced but the Melody Maker reported favourably. 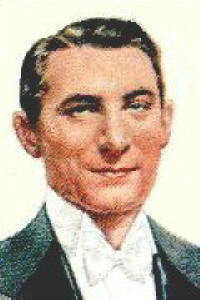 Elizalde was at The Savoy from 1927 to 29 and and recorded with Brunswick and Decca. But The Savoy establishment were not convinced and wanted to 'organise' sweet music for the dancers and the Ministry of Labour withdrew work permits for the 'decadent' Americans and Elizalde was squeezed out ... he went on tour with the band but was an incomprehensible disaster in Scotland ... there were no Eightsome Reels. Near bankruptcy and the recession struck ... Elizalde gave up on 'modern' music and went back to Manila. 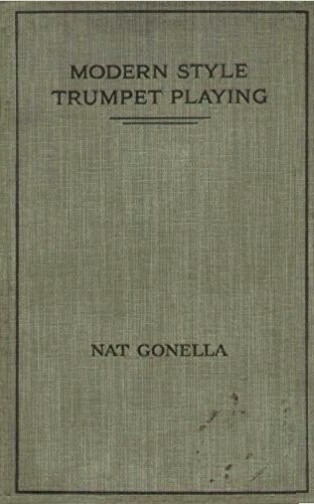 Modern Style Trumpet Playing by Nat Gonella, 1935 in two parts 'Groundwork', the classical training and 'Modern Style' the improvising, chords, jazz effects, phrasing and the blues. He plied his trade via the dance bands of Billy Cotton, Roy Fox, Lew Stone and Ray Noble ... Nat went back to Louis and avoided the confusion of the white New Yorkers; Paul Whiteman and Red Nichols. In 1917 in Islington the local orphanage had a brass band. 9 year old Nat just wanted the uniform and a big bass drum but his able music teacher, William Clarke, was up to speed and pushed the cornet & dot reading. 'Classical training' developed the easy & natural non-pressure system and from a split lip his 'side ways' embouchure emerged. Nat claimed he had to learn 'properly' and he was soon hooked. Rheumatic fever diverted him from the cornet ... but only temporally. At 15 he left school and worked as a errand boy before being lured back to a shining shop window cornet he couldn't afford ... he managed it on the never never ... and was soon in demand for parties and The St Pancras British Legion Brad Band. By 1924 he secured paid gigs with Archie Pitt's 'Busby Boys' at £3 a week. Mrs Archie Pitt was Gracie Fields and their stage shows were an enormous success. Nat learned his trade as an entertainer with enthusiasm & talent ... and Gracie introduced him to jazz via Beiderbecke Columbia records ... but he then discovered Henderson records and Louis. Doors opened. At 20 years old, after the 4 year Pitt contract ended, Nat turned to Bob Dryden's Dance Band at the Dreamland Ballroom, Margate at £7 pw and 'dancemania' with scope for jazz and more Armstrong records. Success led to the Rivoli Ballroom, Manchester & celebrity treatment in Lancashire and then a lucrative stint at the Plaza Ballroom, Belfast. Then back to the Casino Ballroom, Margate where, in 1929, Nat was delivering hot trumpet and gravely Armstrong like vocals ... musicians were dropping by to listen. Pianist Sam Costa was playing next door. Nat was restless in Margate and the Melody Maker pointed him to Archie Alexander's Band at the Regent Ballroom, Brighton. Archie was a London jazz fan who gave Nat license to play his own Armstrong transcriptions including extravaganzas like 'West End Blues'. Billy Cotton came up to Brighton to find out what all the fuss was about and Nat went big time with the Cotton band at the Streatham Locarno and the select Ciro's Club ... and BBC broadcasts. The two Cockneys hit it off with quality music and exposure. At this time Louis Armstrong had made his mark on Nat ... singing and trumpet playing. His first recordings were with Billy Cotton in 1930; 'That Rhythm Man', 'Bessie couldn't Help It'. With the help of reciprocal exchange with Nobel Sissle from Paris, Ciro's decorum was shattered and went jazz crazy, Cotton was sacked in favour of Sissle's black jazz band ... the real McCoy. In 1931 Billy Cotton endured rheumatic fever and Roy Fox was recruiting for The Monseigneur Restaurant in the West End. Billy's brass section moved en mass to Roy Fox as rising stars Nat, Sid Buckman & Joe Ferrie jumped at the chance. Ambrose was at the Mayfair Hotel and offered tempting riches to Nat to join him. A tug of war resulted in Nat staying with Fox at £15 pw. But after 6 months Fox succumbed to pleurisy and the popular Lew Stone (Mr Nice Guy) took over the band and Nat stayed on. The premier source of entertainment in the early 1930s was the wireless and Nat was on regularly with 'Georgia on My Mind' from the Monseigneur, every Wednesday at 10.30 pm. Fox also had a recording contract with Decca ... Nat featured on 'Oh! Mo'nah' in 1931. Then there were the clubs for the Archer Street musicians and on to breakfast at the Lyons Corner House. In 1932 everything came together for Fox band with Lew Stone directing, Al Bowlly on guitar and vocals and the definitive Georgia on My Mind 1932 ... Al introduces and accompanies Nat's showcase ... was this what started it all? The Stone band was rivaling Ambrose for the top spot in British dance bands. No pick up band but a team ... like ten fingers on a piano. When Fox returned to health his ambition to rival Jack Hylton as a show band led to friction with the management who offered the residency to Lew Stone ... most of the boys stayed with Lew ... apart from Sid Buckman who was replaced by Alfie Noaks ... Lew Davis also joined at this time. 1932 When You're Smiling. In 1933 a four week engagement in Holland with Noble and Bowlly was a particular success. Recording proliferated with Lew Stone in 1934 and Nat feature on The Continental. Nat Gonella & his Georgians first recorded in November 1934 ... Moonglow ... he also recorded with Edgar Jackson's Dance Band, Ray Starita's Ambassadors, and the great Ray Noble ... and later Brian Lawrence and his Quaglino's Quartet. Losing Bowlly and Harty to Ray Noble's move to America was a blow but Lew Stone regrouped. The Georgians started as a band within band with Lew Stone before becoming an autonomous unit doing the Music Hall tours. In April 1935 Gonella handed in his amicable notice to Lew Stone. His replacement was Tommy McQuater. The Georgians, a great band with Pat Smuts, tenor, Harold Hood, piano, Jimmy Messini, guitar, Charlie Winter, bass, and Bob Dryden, drums. This was dance, jazz, novelty, jive and hokum ... small group jazz that had broken away from the big band format. At his peak in the mid to late 1930s, 4 years prior to the out break of war. Similar small groups; Joe Daniels' Hot Shots ex Harry Roy, Harry Gold's Pieces of Eight ex Oscar Rabin. During 1935 The Georgians recorded 48 sides ... 'I can't Dance I got Ants in My Pants'. And in 1937 62 sides ... the records were firmly targeted at the dance music market ... Victor Sylvester advised on tempos! Nat was a big time star by 1935, rich and, like Bert Ambrose, an inveterate gambler ... popularity grew, there were films, Holland trips, the London Palladium, fan clubs, heartthrobs and imitators. By 1938 even Fats Waller was a mate. In 1938/1939 with Stella Moya, Nat visited The Big Apple and heard all the greats and held his own, easily, and he recorded ... 'You must have been a Beautiful Baby' ... he was more than good enough to make a more than good enough living from jazz in New York ... he applied for naturalisation but the war intervened. As the war broke out, The Georgians broke up during a tour of Sweden. During the war Nat tried a big band; the New Georgians with 13 pieces. But Nat was called up and joined the 'Stars in Battledress' and regimental bands. After the war, and after Stella Moya, he tried to rehabilitate himself with another 'Georgians' band in the Harry James mould ... Jack Hylton helped, variety with Max Miller, and he even had a go at Bebop and revivalist Dixieland ... and Acker Bilk ... and some hit parade success in Holland ... but times had changed Rock 'n' Roll took over and Nat Gonella ran out of steam. 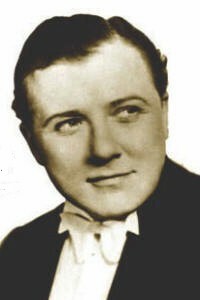 Brian Lawrence (1908-83) a fine singer from Australia in 1927. Says My Heart 1938 Brian Lawrence with his Sextet. Joe Loss (1909-90) a Russian Jew from Spitalfields. Violinist accompanying silent films, to the Trinity College of Music and a band leader in his teens (The Magnetic Dance Band), the youngest leader at the Astoria in the West End at 21, and then the Kit Kat Club, over a thousand recordings and still going strong 60 years later. Chick Henderson & Monte Rey ... 'Begin the Beguine', 'My Prayer' & 'That Sly Old Gentleman from Featherbed Lane', 'In the Mood, 'At the Woodchoppers Ball' ... and Vera Lynn's 'Red Sails in the Sunset'. Signature tune, 'Let's Dance at the Make Believe Ballroom'. Edmundo Ross (1910-) Fats Waller visited in 1938 and young drummer Edmundo from Trinidad was smitten. Stanley Black (1913–2002) OBE was pianist with Harry Roy. Reginald Foresythe (1907-58) - Bit - Duke Insists - Louis Armstrong, Fats Waller, Adrian Rollini, Paul Whiteman and Hal Kemp all recorded Foresythe music. He worked in New York in 1934-35, arranging for Paul Whiteman and recording with Benny Goodman, John Kirby, and Gene Krupa. Most of his career was with dance bands in Britain, in the Royal Air Force during WWII and accompanying singers or soloing as a pianist in London in the 1950s. 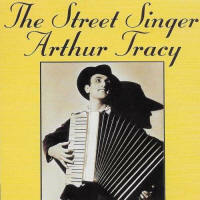 Arthur Tracy (1899-1997) - Pennies from Heaven 1937 So Do I 1937 - born in the Ukraine, emigrated to America in 1906 ... from minstrel shows & vaudeville he became famous in the 1930s as 'The Street Singer' ... the inspiration for 'The Accordion Man' in Dennis Potter's 'Pennies from Heaven'. Greta Keller (1903-77) - Blue Moon - I Believe in Miracles - a song & dance girl from Vienna who made her name on Broadway with Marlene Dietrich.